Can you identify the person is this photograph? 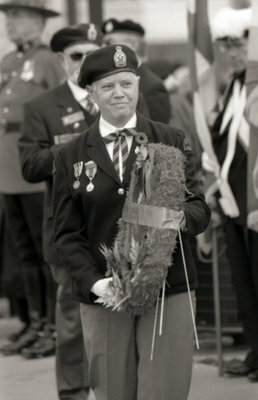 In this photograph a vetran is holding a wreath to be placed in front of the cenotaph. Remembrance Day, November 11, 2005, Carl Ferencz. Whitby Archives A2013_014_005B.